We are specialists at repairing your Canon XF405 camcorder and we’ve seen all of the problems associated with it. 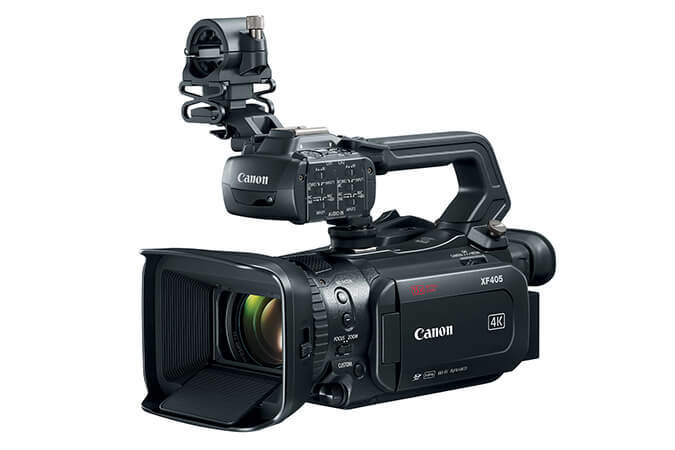 With our 25 years of experience repairing Canon Pro-level camcorders we have the knowledge and skills needed to repair yours fast and reliably the first time. That means we know how to service it properly and why we can guarantee the entire camcorder for 6 months! The camera will zoom in or our on its own. The zoom may creep even when you are not touching the zoom control. Zoom Toggle may be unresponsive. Will not zoom in our out. LCD viewfinder is cracking, broken or falling off of the camcorder. The LCD hinge may be bent or broken. The display may or may not be turning on. Camcorder will not power up with the battery or the AC power. Camcorder is dead. The power switch is flaky or faulty. The HDMI port in not displaying a signal. No HDMI out through the jack. The jack may feel loose or broken. The video camera lens in not working. It does not focus correctly, has soft focus or problems with back focus. The camera has experienced water damage. Was splashed or submerged in liquid or water. Camcorder has suffered impact damage. Was dropped or jarred. May have physical damage or my simply not work properly. Call and speak directly to one of our Canon techs NOW. Most repairs completed within a week! No charge for rush repairs. Standard return shipping is always free – even when you choose not to repair. We fully diagnose and let you know exactly what repairs are needed – at absolutely no charge! You get a 6 month guarantee on your entire Camcorder! Not just the item we repaired. We warranty your entire camcorder for 6 months! Unlike other shops that offer a warranty on the area of the camcorder that they fixed, Video One Repair will cover the whole camcorder. So, if another unrelated problem occurs within 6 months, just send it back in and we will take care of it for you – no charge! © Copyright 2019 Video One Repair All Rights Reserved.